Notes: Château de Lavaux-Sainte-Anne (Lavaux-Sainte-Anne Castle) is located in Belgium near Rochefort, in the province of Namur. 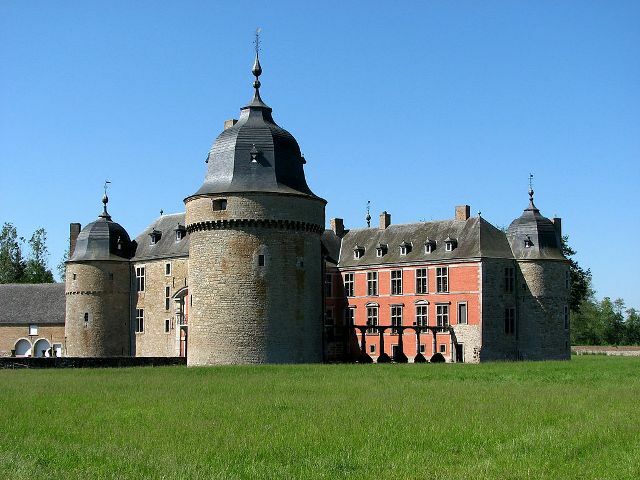 In 1450, Jean II de Berlo commissioned the building of the castle. On 16 November 2002, famous tennis player Justine Henin married Pierre-Yves Hardenne in this castle.